Too Many midwives and not enough undertakers! Over 700 delegates from all over the world arrived in Liverpool for the CARS Show featuring the International Round Table on Auto Recycling. Guests from Japan, Malaysia, Australia, India, Brazil, US, Canada, Europe and the UK enjoyed Lancashire hospitality which included food, dink and plenty of rain. Our International visitors were treated to a tour of the JCB World Headquarters. JCB is a UK success story, starting in 1945 with one product it is now a multi billion dollar business producing over 300 different models in factories all over the world, employing over 10,000 people it is still family owned and run. JCB were the main sponsors of the CARS Show and once they had finished their demonstration and tour took some of the demonstration vehicles up to Hills Motors where the CARS Show was being hosted to be used during the show. Once at the show visitors could walk around the indoor stands or go outside into the main demonstration area where vehicles could be seen being de-polluted, crushed, or in the ‘big boys toys’ arena, literally being pulled apart by Overtons Auto Dismantling System. Every now and then there would be a loud bang as Autodrain fired another airbag with their deployment tool, wheel crushers were separating wheels and tyres almost constantly and Combilift lost count of how many times they re-arranged the same three cars on their racking system. Training seminars gave visitors and guests lots of opportunities to hear some of the most knowledgeable people in the business talk about fuel safety, electric and hybrid vehicle dismantling, profit, sales, green parts and much more, and the show was supported by over 50 of the biggest names in the industry, including Manitou, Vortex Depollution, SEDA, Green Car Depollution, Crowe Environmental, Actual Systems, Car Part.com and more. The International Round Table held 2 sessions during the event, receiving reports from country representatives and specialist reports. It was during the country reports that probably the most memorable comment came, Captain Mohan Ram, representing India, spoke about his country’s desire to have a full end of life vehicle industry, explaining that India has many producers of vehicles but very few businesses that take vehicles out of use – too many midwives and not enough undertakers! It was very clear that all the countries represented face very similar issues, lack of enforcement, poor legislation, and too many illegal operators who drive salvage values up. 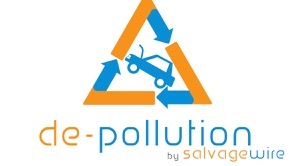 As an industry we need to take a stand locally, nationally and internationally to eradicate these undesirable activities, and failure to do this will impact all genuine law abiding auto recycling businesses. There is not one individual who could achieve this; rather it needs to be a collective effort from many to make a difference. The specialist reports to the IRT included Paul Fox of EGARA highlighting how auto recycling could change in the next 10 years, and Anja Tomazic from GM Europe spoke about the information that manufacturers give to assist auto recyclers dismantle vehicles as well as focusing on the Vauxhall/Opel Ampera (Chevrolet Volt) and the recycling potential for this vehicle in 10 -12 years time. Steve Fletcher from Auto Recycling Canada graciously accepted the request to chair the IRT meetings, and also provided an overview of the Canadian Auto Recyclers Environmental Code. Minoru Gouku from Japan presented a short video that showed the effects of the Tsunami in 2011 and the combined efforts of so many businesses and individuals to clean up the affected areas. The whole meeting was very quiet and hushed as this video was playing, reflecting on the devastating affect this natural event had on people, families and communities. Social activity was high on the agenda for the show, the organisers wanted to give everyone maximum opportunity for networking and relaxation. Friday evening found most of us sheltering from the rain and enjoying food and entertainment, our live band were enjoyed by many – especially after England beat Sweden in the Euro 2012 soccer championships. That same evening an auction raised over £10,000 for our chosen charities, and by the end of the event other fundraising activities boosted that figure to nearly £14,000. Football (sorry, Soccer) was the focus of our attention as we closed the whole show at Anfield, the home of Liverpool Football Club, the evening started with a tour of the ground followed by a meal and dancing to Imagine….The Beatles, an excellent tribute band that was enjoyed by over 150 delegates and guests. 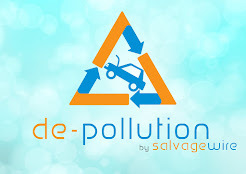 This was the first time that a show of this type has ever been staged in the UK; one of the aims of the organisers when they started to put this show together was that it must be able to benefit the Auto Recycling industry. We received the following e-mail that shows we got it right. Just wanted to congratulate you on the success of the CARS event. It was fantastic to see the industry being pulled together from all dimensions. The event gave us a good opportunity to explore and compare new equipment whilst proving a great networking opportunity. The seminars I managed to attend were also invaluable, hearing from such knowledgeable figures in the industry which really made me step back and evaluate the way in which we operate our business. Both Steve and I left the show with a complete buzz not only from what we had learnt but of what we wanted to achieve. Thank you so much and congratulations once again. The hard work really paid off! I must also pay tribute to Ian Hill and all the staff at Hills Motors who hosted the event, they worked so hard to clear and clean the space for the show – they had to move over 900 motorbikes just to clear the indoor arena – erecting stands, hanging banners, cleaning, sweeping, and then emptying bins, welcoming delegates and guests and serving food and drink during the show, and not one of them ever complained or didn’t have a smile on their face. Every visitor commented on the quality of the yard, the operation and the staff, and those that were able to get on the yard tour were coming back eulogising about the operation that Ian has built, a set up that is possibly the best in the UK and certainly matches some of the best around the globe. Please allow me to finish with the one word e-mail that we received from Steve Fletcher.